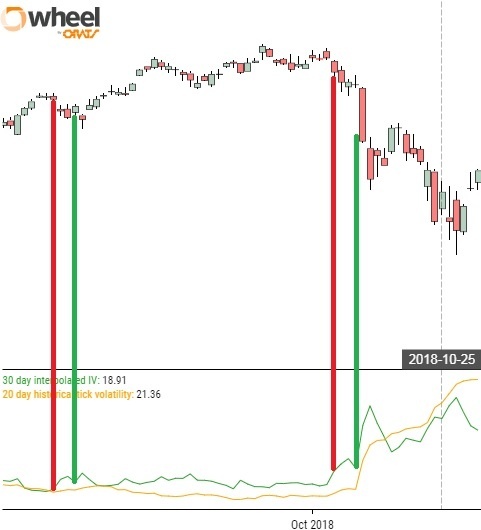 Symbol Entry Exit Dates (video) integrates user signals in backtesting. 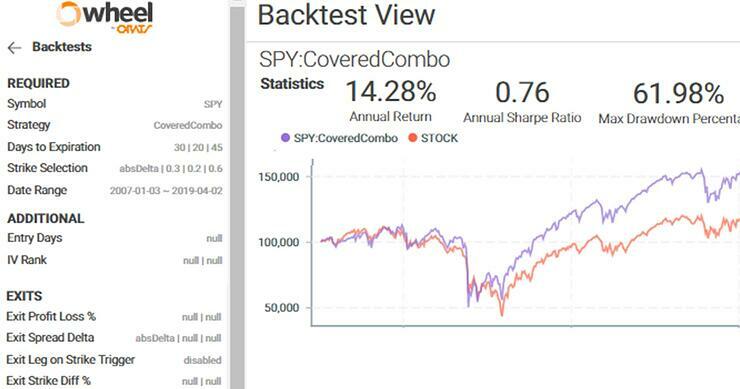 The ORATS Backtester allows the user to paste in multiple rows of entry and exit dates to control trading. 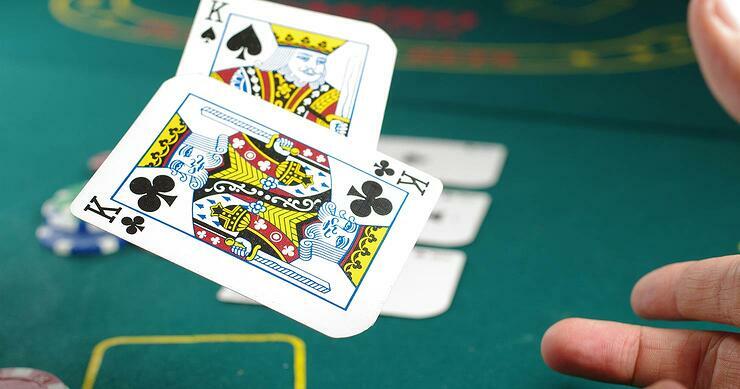 The backtester will enter and exit trades within each row’s range. The user can select whether to exit on the exit date or not. 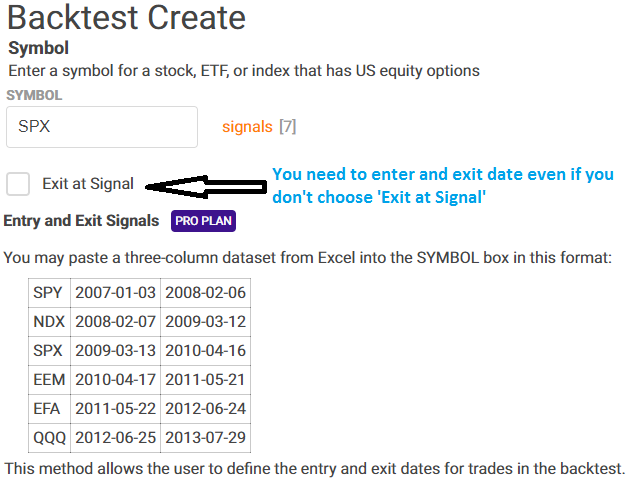 Paste in multiple rows of symbol, entryDate, exitDate and the backtest will enter the first available day and if exit on signal is selected, will exit on the exit date, otherwise will exit at expiration. Paste "symbol entryDate exitDate" like "IBM 1/3/07 1/31/07" from a Spreadsheet like Google Sheets or Excel. Valid date formats are YYYY-MM-DD or M/D/YYYY. Note: Even if you don't select "Exit at Signal" you still need an exit date. Here's a GIF on the process.